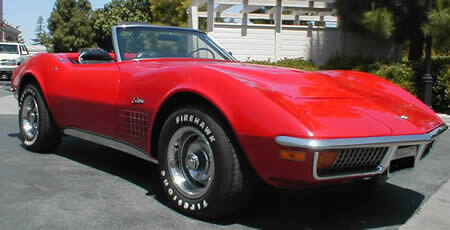 The 1972 Corvette would be the last year to feature chrome bumbers on the front and rear and the last year that the rear window would be removable. Changes from the 1971 model were few but also includes removal of the fiber optics light monitoring system located on center shift panel. Although it appears that there was a dramatic drop in horsepower the fact is that 1972 was the first year the all auto manufactures used new standards for measuring.